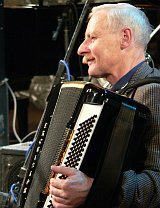 On December 2, 2006, we celebrate the 60th birthday of the great jazz accordion player, Vladimir Danilin. He started to play accordion at the dances in his native town of Lyubertsy, near Moscow, in late 1950s, and by the early 1960s he was already playing jazz clubs in Moscow. Jazz in its pure mainstream form was (and still is) all what he was interested in. This was also true when Vladimir Danilin switched to the piano, and spent many years in the country's most popular jazz big band of the late 1970s- early 80s, Oleg Lundstrem Orchestra. And this stayed true, when Danilin returned to his primary instrument, the accordion, in early 1990s and continues on this instrument ever since. One of Danilin's best recordings has been released in 1999, it was called "Once I Loved". In this week's Russian Jazz Podcast, Jazz.Ru editor Cyril Moshkow tells the story of Vladimir Danilin, as we listen to a fragment of that album. Vladimir Danilin plays a Russian jazz tune, based on the 1950s Russian hit "Tri goda ty mne snilas", "Three years I dreamed about you", written by composer Nikita Bogoslovsky. Yakov Okun plays Rhodes piano, Alex Rostotsky, who also produced this record, plays electric bass, Eduard Zizak plays drums, and Vladimir Danilin is on accordion. 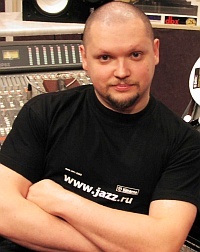 On October 27, 2006, Russia's most popular jazz musician turned 45. His name is Igor Butman. He plays saxophones. Igor has a rare gift: he is not only a brilliant performer, he is also an able promoter of his own work and of the genre in general. He easily makes friends with musicians, politicians, businessmen, and media people, and thus pushes jazz as a genre further than it has ever been in Russia. He is the first Russian jazz musician to release albums on Universal label, and a successful jazz event producer: his Triumph of Jazz festival, held each February since the year 2000, is a must-see on Moscow jazz scene. Igor Butman also runs Moscow's premier jazz club, called Le Club, the only jazz club in Russia ever mentioned in Down Beat's Top 100 jazz clubs in the world. 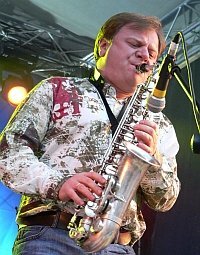 Igor Butman already was the #1 tenor sax player in the Soviet Union when, in 1987, he decided to go to the United States to accomplish his jazz education. He studied at Berklee College of Music in Boston, made friends with everybody, then moved to New York City and made friends with everybody there, while performing extensively on the club scene. 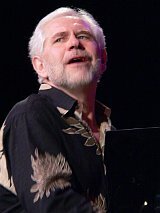 Igor's thick phonebook allowed him to organize the ongoing flow of American jazz musicians to Russia, when Butman returned to his native country in the late 1990s. He was also the first Russian jazz bandleader to present his own superb jazz big band in New York City, where Igor Butman Big Band opened the 2003 jazz season at the Lincoln Center by playing the big band battle with Wynton Marsalis's Orchestra. In this week's Russian Jazz Podcast, Jazz.Ru editor Cyril Moshkow tells the story of Igor Butman. We also listen to the sax man in a straight-ahead jazz acoustic quartet setting ("Prophecy" album, Universal, 2004). Anton Baronin, piano; Vitaly Solomonov, bass; Eduard Zizak, drums; Igor Butman, tenor saxophone. 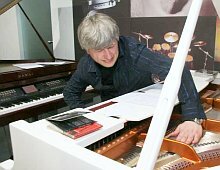 Born in Ukraine in 1962, Andrei Kondakov studied music theory at Dnepropetrovsk Music School in Ukraine, jazz piano at Petrozavodsk Music College in Northern Russia and classical composition at St.Petersburg Conservatory. While still living in Petrozavodsk, Andrei co-led a quartet with guitar player Andrei Ryabov which toured the Soviet Union with American sax man Ritchie Cole, was hailed by Soviet jazz critics and rated first among Soviet jazz combos in late 80s - early 90s. In 1992, Kondakov started his solo career where he concentrated on his ability to write bright beautiful melodies and to perform them with all the brilliance the great classical Russian piano school can provide. He plays with American musicians a lot, both in Russia and in the U.S. Right now Andrei is performing in New York City with Lenny White, Eric Alexander and others. In this week's Russian Jazz Podcast, Jazz.Ru editor Cyril Moshkow tells the story of Andrei Kondakov. We also listen to a live recording, made in Siberia in 1997, of Andrei Kondakov performing one of his beautiful tunes, called "Deserted Part". Igor Butman is on tenor sax, Eddie Gomez is on acoustic bass, Lenny White is on drums. A few weeks ago we celebrated the 65th birthday of one of the most popular jazz musicians in Russia, guitar player Alexey Kuznetsov. Like most of the most popular jazz musicians, he is not an innovator or a radical experimenter. He is a true keeper of the traditions of jazz guitar, and a great educator who keeps the art of playing the jazz guitar alive. 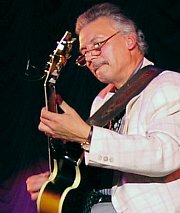 Alexey Kuznetsov appeared on the jazz stage in the 1960s, in a duo with an older guitar player Nikolay Gromin. It wasn't until the late 1970s, when Kuznetsov became less associated with Gromin and more appreciated as a leader. In was in the 1980s when he enjoyed a large popularity: the Soviet Nationalwide TV even featured this jazz guitar player in a 60-minutes film which was aired more than once. In this week's Russian Jazz Podcast, Jazz.Ru editor Cyril Moshkow tells the story of Alexey Kuznetsov. We also listen to a 1987 live recording of Victor Young's "Stella By Starlight" performed by his trio with electric bass player Alex Rostotsky and American drummer Daniel Martin, from Kuznetsov's 1987 live album, "Live In The Olympic Village", just reissued by Melodiya label. 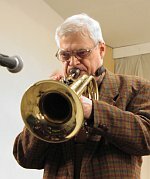 Flugelhorn player Guerman Lukianov is a legend of Russian jazz scene: since 1962, his every next group or album rates among the most listened to -- and most disputed -- jazz recordings in Russia. Guerman Lukianov just turned 70: he was born in 1936 in St.Petersburg, to a navy officer family. Lukianov studied at Moscow State Conservatory of Music with the great composer Aram Khachaturian. Guerman's interest in jazz made him to abandon the career in classical music. His early 1960s experiments in small groups (especially his "bassless trios") made him a reputation of a strong jazz composer and a highly non-standard, off-the-beaten-paths performer. In this week's Russian Jazz Podcast, Jazz.Ru editor Cyril Moshkow tells the story of Guerman Lukianov. We also listen to a 1967 live recording of Guerman Lukianov's bassless trio: Vladimir Vassilkov - drums, Leonid Chizhik - piano, and Guerman Lukianov - flugelhorn. The theme's structure and intonation imitates a typical Russian prayer, the kind of a prayer you can hear in any Russian Orthodox Christian church. Remember, this was 1967, the height of Soviet rule in Russia. Communists never liked Christian symbols. That's why even an instrumental piece called "The Prayer" could not make it to the vinyl in the Soviet Union, given the fact that the record production was controlled by the Communist government. Guerman Lukianov knew that he should rename his piece, and that arguing about that was pointless. That's why he called this piece "Pointless Talks." The earliest jazz records in the Soviet Union were made in 1928, but the first really significant ones - in 1937-1938. Among those recordings, the most interesting were cut by the big band led by the piano player Alexander Tsfasman (1906-1971). By 1926 he had his own jazz band, the first jazz band ever to perform live on the government-owned Moscow radio the next year, and the first Soviet jazz band to be recorded (1928). But it was only after a nine-years break, in 1937, when Tsfasman's big band made its most significant recordings. Surprisingly, Alexander Tsfasman, being quite busy as the director of the Soviet Radio Committee Jazz Band, never left his parallel career, that of a classical piano player, and as such, performed extensively in Moscow's best concert halls. He was the first Soviet piano player to perform George Gershwin's "Rhapsody in Blue" in public in 1946. It was Tsfasman who was chosen by the great classical composer Dmitry Shostakovich to perform his new piano concerto in 1951. But it was jazz music that made Tsfasman widely popular in the country. 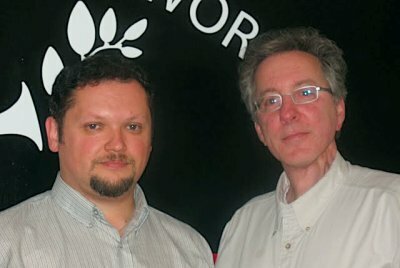 In this week's Russian Jazz Podcast, Jazz.Ru editor Cyril Moshkow tells the story of Alexander Tsfasman. We also listen to one of Alexander Tsfasman's first recordings, made in 1937. One of his most important jazz tunes, a manifesto of a certain sort, this tune is called "Sounds of Jazz". Nobody took trumpeter Valery Ponomarev any serious in Moscow in the late 1960s: the older players weren't impressed by his style, heavily influenced by 1950s-1960s hard boppers, such as Clifford Brown, Lee Morgan and Freddy Hubbard. Can anybody possibly imagine how surprised they were when Valery emigrated to the United States and, in 1977, it was him - not them, who regarded themselves as bigger stars in Russia! - who became a member of Art Blakey Jazz Messengers! 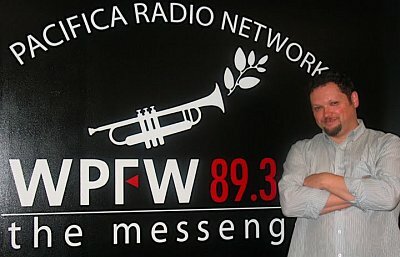 Ponomarev spent four years in the famed hard bop super group, where he preceded a younger trumpet player called Wynton Marsalis. Since 1980s, Valery Ponomarev leads a successful solo career in New York City. He had released several good albums for Reservoir Records. Piano, vibraphone, flugelhorn, tenor saxophone, as well as acoustic bass and drums -- and this would still be not the complete list of instruments played by David Goloshokin. In this week's Russian Jazz Podcast, Jazz.Ru editor Cyril Moshkow tells the story of Leonid Vintskevich; we also listen to Vintskevich's "Village Music" as performed in a duo of Leonid and Nikolai Vintskevich. All-Music Guide on Roman Kunsman: "...producer Hank O'Neal attributes the late Roman Kunsman's lack of commercial success to the fact that he "was never in the right place at the right time." O'Neal speaks the truth; although Kunsman was a talented alto saxophonist, flutist, and composer, he never received the sort of break that would have made him better known in the jazz world..."
In this week's Russian Jazz Podcast, Jazz.Ru editor Cyril Moshkow tells the story of Roman Kunsman; we also listen to Kunsman's "Ray of Darkness" as performed live at the 1967 Moscow Jazz Festival by Oleg Lundstrem Orchestra.